Beavers are widely recognized for their nearly human skill at felling trees and manipulating waterways. These giant rodents possess sharp, always-growing front teeth. Their massive incisors act like living saws on trees, but we seldom imagine beavers as a threat to humans. 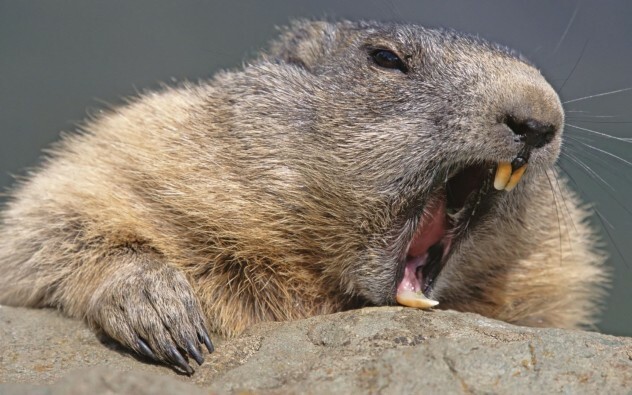 However, beavers are territorial and defensive, and they will not hesitate to use their teeth. As once-depleted beaver populations recover across Europe, the animals are faced with limited habitat and widespread human settlement. The overlap in territory is causing an increasing number of confrontations with humans. In addition to a string of injuries, a fisherman in Belarus bled to death when a beaver chomped down on his leg, severing an artery. The man had previously attempted to grab the animal to pose beside it for a photo, as if it were just another fishing catch—bad move. We usually reserve a level of respect for marine mammals due to their awesome power and size, but we don’t consider them mean-spirited. 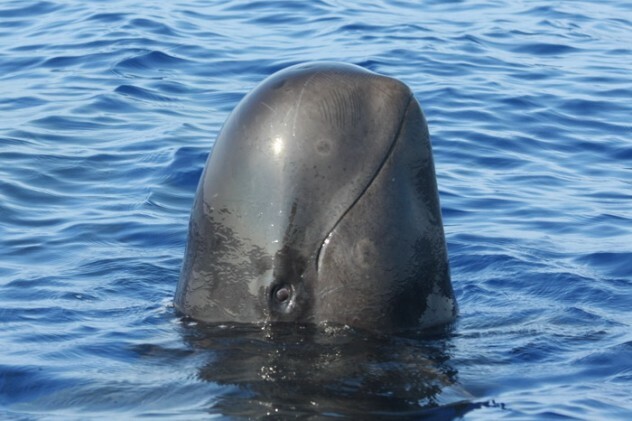 The short-finned pilot whale, actually a large dolphin, stands out as a fearsome exception to the rule. Resembling a small sperm whale, it has a personality worthy of the Herman Melville novel. This sea animal is notorious among marine biologists as a dolphin that has a problem with us. Short-finned pilot whales may display scary behaviors such as jaw snapping when encountering humans. The pilots aren’t bluffing, either. In one disturbing case, a pilot whale broke away from the pod and seized a swimmer by the thigh before dragging her 10 meters (33 ft) below the waves. The swimmer was eventually released—fortunate to survive the near drowning. We tend to think of deer as harmless herbivores; however, diet has absolutely nothing to do with personality. Plant-eating ungulates possess powerful hooves and massive antlers that can inflict grievous wounds on those who cross a territorial deer. Encounters with wild deer have resulted in humans being charged in the most random and unexpected circumstances, such as one women who was waiting for a bus. 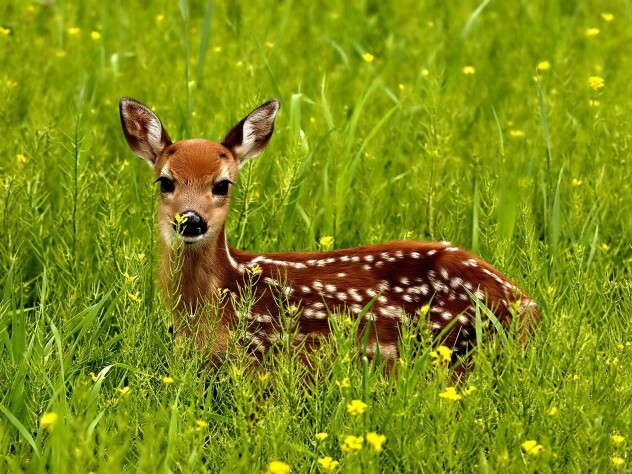 While wild deer attacks have led to serious injuries and even death, human interactions with supposedly “tame” deer have led to equally devastating attacks. In one high-profile case, a Canadian man who owned 11 white-tailed deer was trampled and gored to death by the dominant buck. Deer have social orders of dominance and high mating aggression—just like wolves—and will protect their young in a manner worthy of a mother bear. Wolves get all the blame and trigger unparalleled levels of fear, but a smaller canine may actually pose more of a threat to humans. The red fox is widely considered cunning, but disturbingly, young humans may be treated as potential prey. 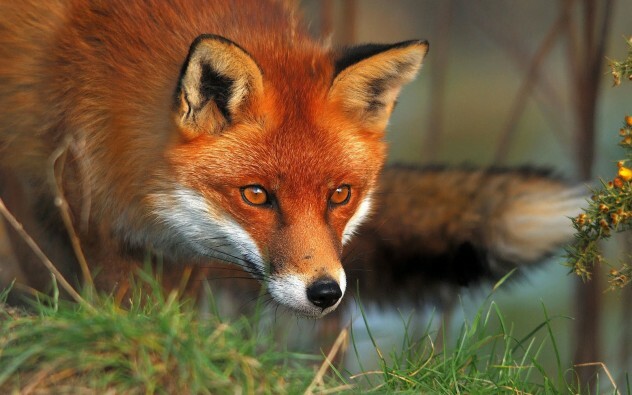 Foxes may even invade human dwellings to stalk their victims. In a freakish case, two nine-month-olds were attacked while sleeping in their crib and suffered arm injuries. As if that weren’t enough, an infant had his finger bitten off by an aggressive fox in a similar incident. Fortunately, doctors were able to restore the digit. We may be inclined to view raccoons as adorable troublemakers, but these small carnivores launch attacks more like a miniature bear. Raccoons are somewhat doglike animals native to the Americas and have adapted with exceptional success to urban environments. 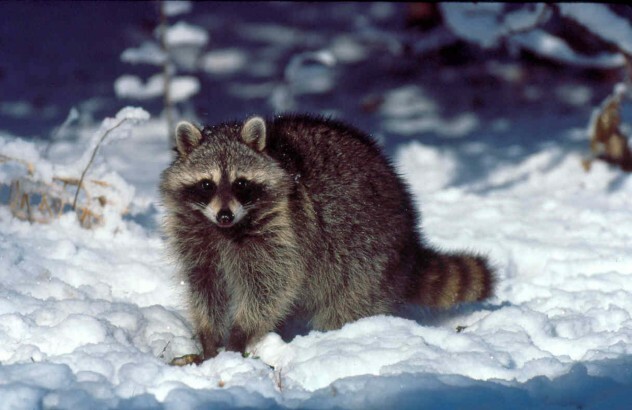 With powerful teeth and razor-sharp claws, habituated raccoons can inflict terrible injuries on both humans and pets. In one of the worst recorded cases, an American woman was badly mauled when a pack of raccoons viciously attacked her. She sustained numerous bites that required staples and anti-rabies injections. In a more recent case, a Canadian city-dweller was charged by a raccoon, which raked her legs with its claws before it was scared off. 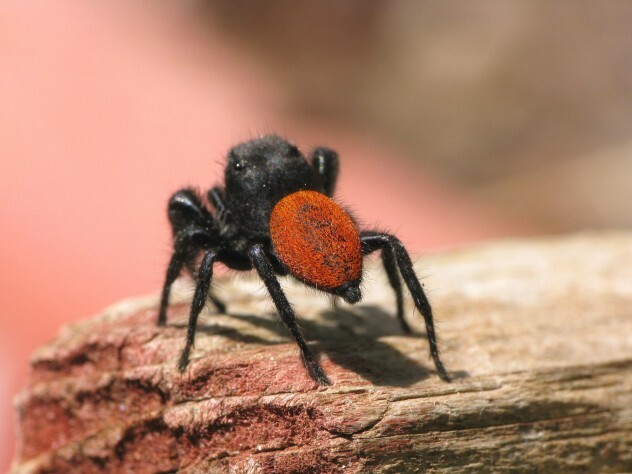 The red-backed jumping spider, an arachnid native to Western North America sports a compact, rounded body with a red abdomen. This species can move at seemingly impossible speeds and, if disturbed, will not hesitate to inflict an exceptionally nasty bite, causing massive swelling and intense pain that may last for several days. Red-backed jumping spiders exhibit excellent memory for an arachnid and possess outstanding stalking abilities. 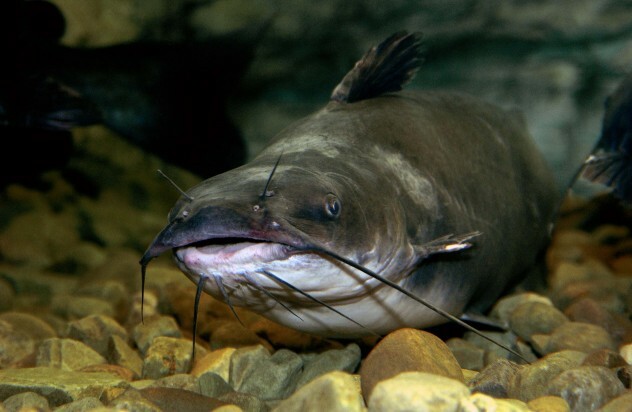 Many freshwater catfish such as stonecats or madtoms possess razor-sharp spines that inject potent toxins into its prey. The “stingers” are modified dorsal fins. A wide range of nasty aftereffects include swelling, irritation, and even nausea or weakness for several days. In a limited number of terrifying cases, tissue necrosis and gangrene developed, requiring amputation of digits. Parrots are extraordinarily intelligent tropical birds that are also stereotyped as companions of eyepatch-wearing pirates, but in reality, parrot ownership might place you in the market for an eyepatch. 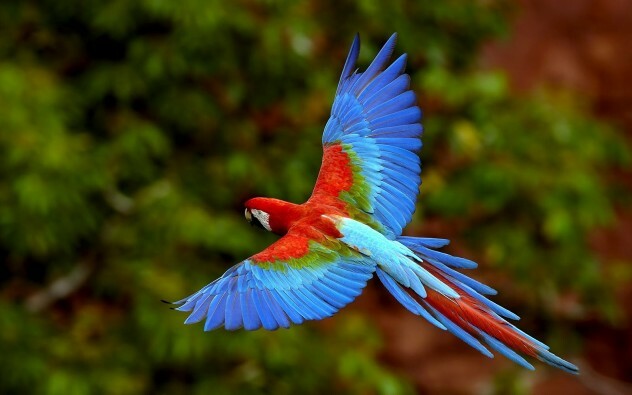 Large parrots—such as Amazons, African grays, or macaws—possess extremely powerful bills, capable of removing digits. They are sometimes prone to hostile behavior, which can be directed to the owner. Parrot owners have reported injuries including lost eyes and even amputated fingers. There are also reports of traumatic lip wounds, partial ear lobe loss, and serious facial damage. Fortunately, sound bird-handling practices will usually prevent injury. 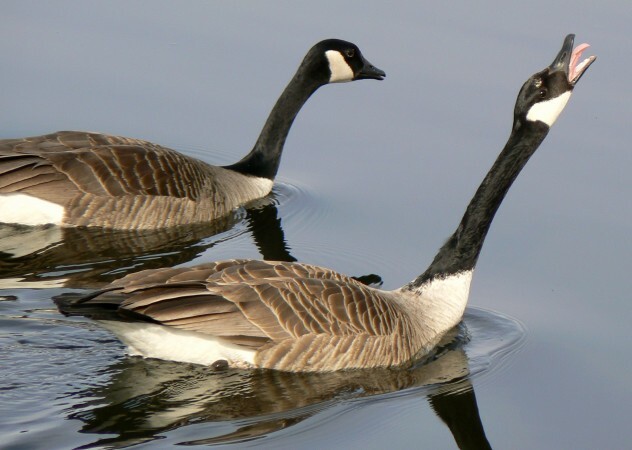 Wild geese, especially Canada geese, have become increasingly accustomed to urban ponds and golf courses and are often more numerous in these human environments than their original habitats. However, geese that abandon their wild habitats maintain their territorial nature, leading to potential conflicts with humans. Canada geese attacks have led to broken bones, head injuries, and flesh wounds. Being attacked by a hyena might be the worst way to have your day (or life) ruined. Africa’s most abundant large carnivore, striped hyenas possess truly astounding biting power. Contrary to their portrayal as slinking scavengers, hyenas are top predators and aggressive territory defenders that won’t hesitate to attack live victims. Targets sometimes include humans—to horrendous results. One case involved a university student who was killed and eaten, with only his skull and some teeth remaining. Ron Harlan investigates of the mysteries of nature and other bizarre findings. He is a freelance writer and student of science. Contact Ron if you have need of engaging written content.